Time is of essence in Thelonious Monk’s concise melodies, syncopated and swinging. Notes rub against each other. The music dances. Conceived for quartet, the pleasure multiplied as Chick Corea and the Lincoln Center Jazz Orchestra delivered a concert of ten Monk compositions arranged by band members and Corea, who adapted “Work” (from 1951) specifically for this band and this concert. Pianist Corea graduated from high school in Boston and came to New York to see Thelonious Monk perform. On one date, because the club owner had said “Play short sets,” Monk set an alarm clock – an old mechanical clock with two bells like mouse ears atop the face – to ring after half an hour. Corea pitches his close-handed tremolos so that they too ring like bells and almost clash. Improvising lines, he always keeps the band in mind as he supports and responds and prods and interrogates. I’m a better listener when I listen to him. 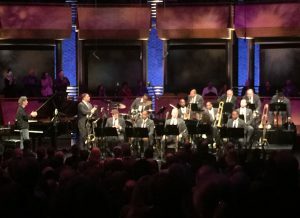 Trombonist Vincent Gardner arranged “Light Blue” – introduced by leader Wynton Marsalis as “unusual” in form and content – and Corea trilled near the top of the piece. 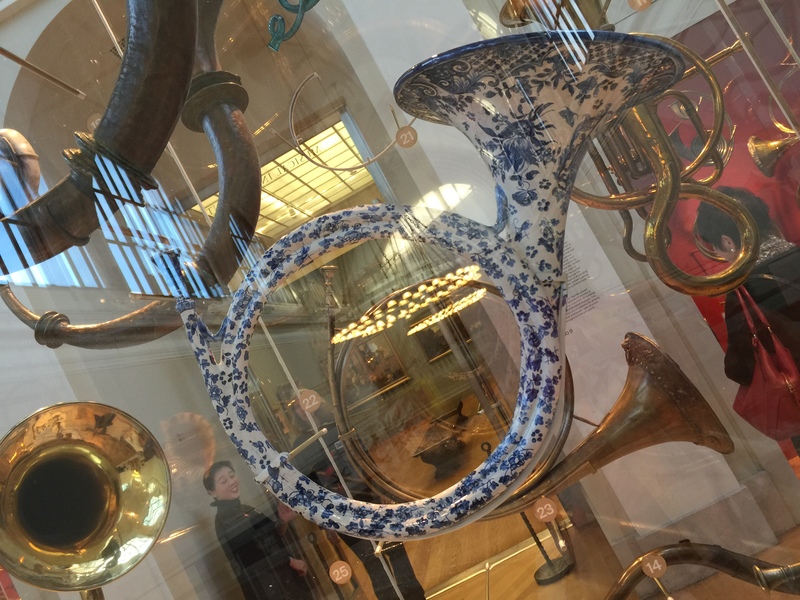 A bit later, two trumpets trilled together, recalling the pianist’s moment, but in fact Chick had set them up. Gardner’s re-invention of “Trinkle Tinkle” featured a Marsalis solo. After an extended section with lo-o-ng tones (also trilled), the trumpeter came right back and punched out his phrases to rock the house. We the audience loved it. 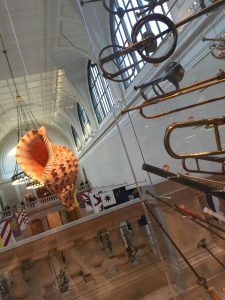 The program was Four in One Think of One Light Blue Hackensack Bye-Ya Trinkle Tinkle Epistrophy Work (Chick’s arrangement) Ask Me Now (described by Marsalis as romantic but I’d say only in the closing fully orchestrated chorus) and Rhythm-a-ning. As we focused on Corea and the LCJO in Rose Hall, pianist Helen Sung was playing small-group Monk a few steps away at Dizzy’s, and Herlin Riley was funkifying Monk in the Appel Room. So for every piece I heard, I was missing two. Spring arrived and The Met Museum celebrated the re-opening of The André Mertens Galleries for Musical Instruments. At the entrance, a chosen few are suspended in a glass case, lit naturally. Deeper in the galleries, the light is lower. 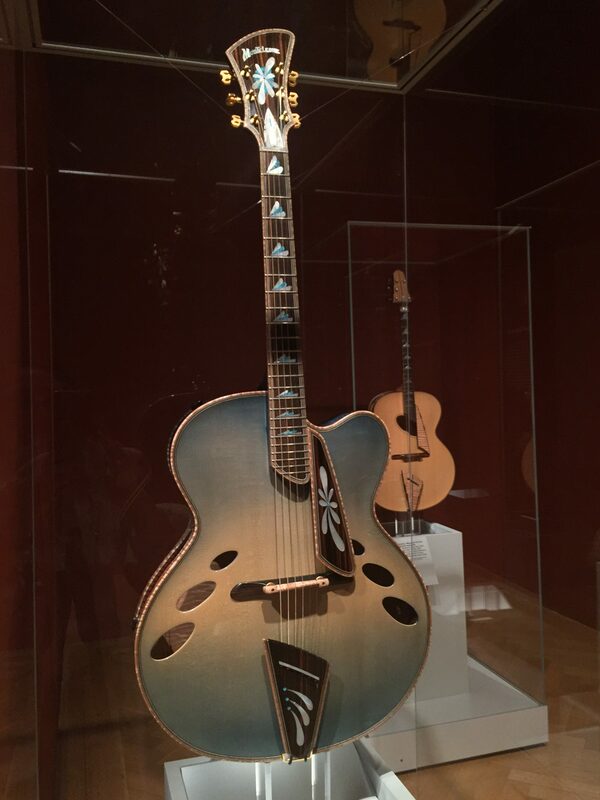 This guitar and its three siblings starred in a special exhibit and concert featuring New York makers, a few years ago. I am happy to see it again. Scroll to the next post, click and enjoy an informative, fun video tour. Hosts are Bradley Strauchen-Scherer and Jayson Kerr Dobney of Musical Instruments. They know the instruments and tell their stories. Congratulations to my friend Marian Eines for her long run on the MI staff. 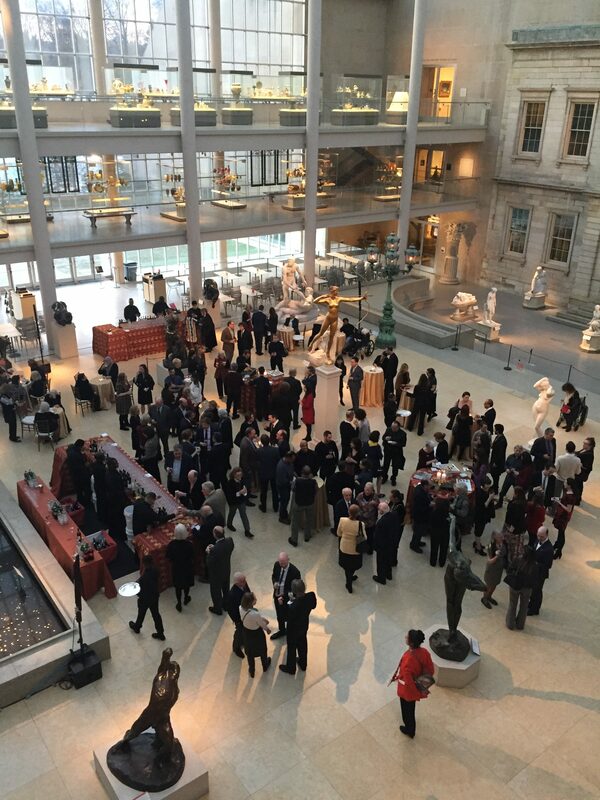 Besides re-opening the gallery, the elegant party marked Marian’s retirement. Photos taken on my iPhone 6S. Soon I hope to learn how to post photos in two columns.